Uber said it would launch with "nearly 300 bikes" and ramp up over the coming weeks and months. The company, in its permit application, said it anticipated having 5,000 bikes on the streets by March 2019. Seattle’s third iteration of bike-sharing is now beginning, as Uber announced that it will launch its bike-share service in the city Monday. The company received an operating permit Friday from the Seattle Department of Transportation (SDOT). 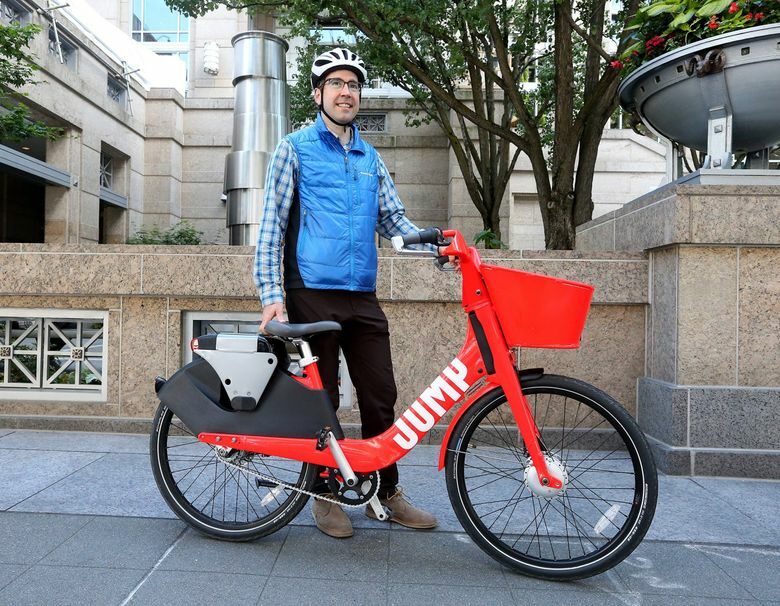 That followed a monthslong process that saw Seattle’s fleet of free-floating, low-cost rental bikes dwindle, as two companies left the market and two new ones (Uber and Lyft) waited in bureaucratic limbo for permission to open up shop. Uber, for instance, had originally planned to begin service in October. The Seattle City Council passed legislation approving a permanent bike-share program in July, and SDOT finalized regulations shortly after that to allow up to 20,000 bikes on city streets. Spin and ofo, two companies that had been operating under the city’s pilot bike-share program, decided not to continue under the new, permanent regulations. With the pilot program (which followed the failure of the city-owned Pronto bike share), Seattle was the first major city in the country to open its streets to the new breed of dockless, free-floating bike shares. The city had sought four companies to run bike shares here, but ultimately only three applied — Lime, which has been operating here since July 2017, and Uber and Lyft, the two ride-hailing giants, both of which have recently paid millions of dollars to buy bike-share companies. 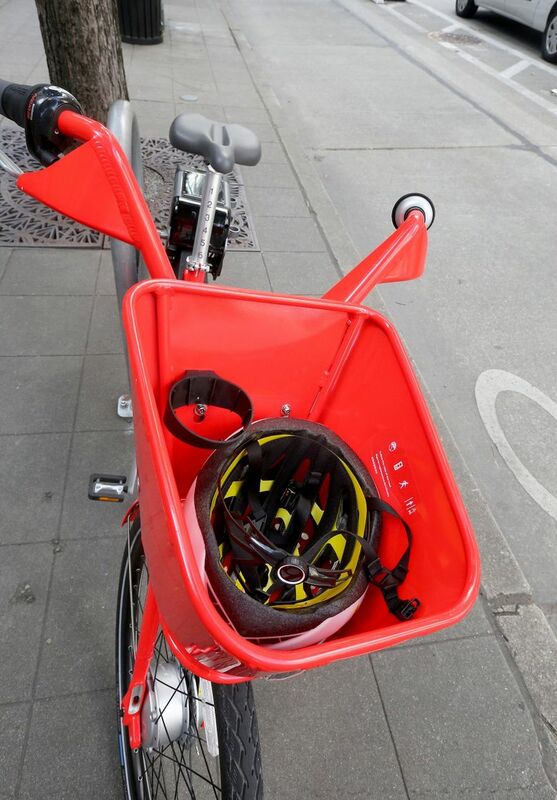 With Lime recently announcing a free-floating car-rental service, all three of Seattle’s bike-share operators will also be in the car business. While Lime has continued to operate under the prior pilot program, Uber and Lyft have been waiting to have their permit applications approved and for the results of a city environmental review of the bike-share program. That review wrapped up last month. Uber said it would launch with “nearly 300 bikes” and ramp up over the coming weeks and months. The company, in its permit application, said it anticipated having 5,000 bikes on the streets by March 2019. Uber’s red bikes, which operate under the brand name JUMP, are all electric-assist and lock somewhat differently than the lock-them-anywhere bikes that have been here for more than a year. Instead of locking to themselves — with a locking mechanism through the back wheel — JUMP bikes are designed to lock to an object, ideally a bike rack. As with Lime, you can find a bike near you using a smartphone app — either Uber’s existing ride-hailing app or a JUMP-specific app. 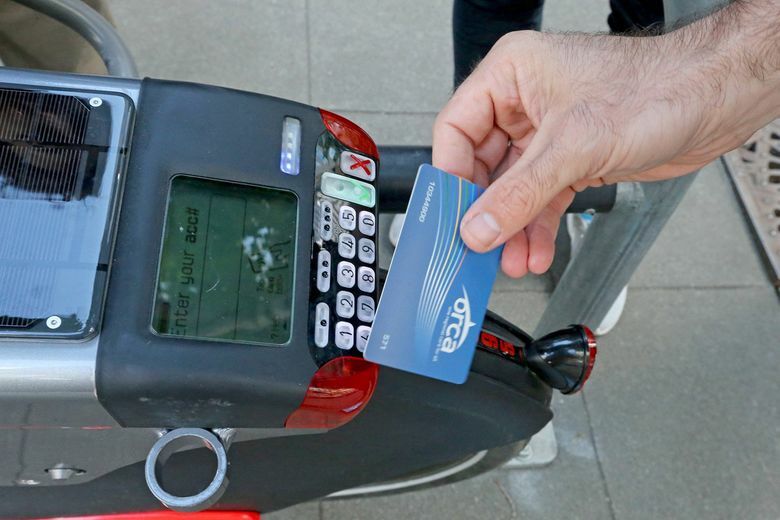 But unlike other bike-sharing companies, JUMP bikes are unlocked by typing in a personal ID number and pass code, rather than by scanning with a smartphone. This, conceivably, could make the bikes more accessible to people without a smartphone, although an app is still used to find bikes on a map and to sign up for the service. Lyft declined to answer questions about its bike-share plans in the city. But its permit application also indicates a fleet of electric bikes that would reach 5,000 by the beginning of 2019.